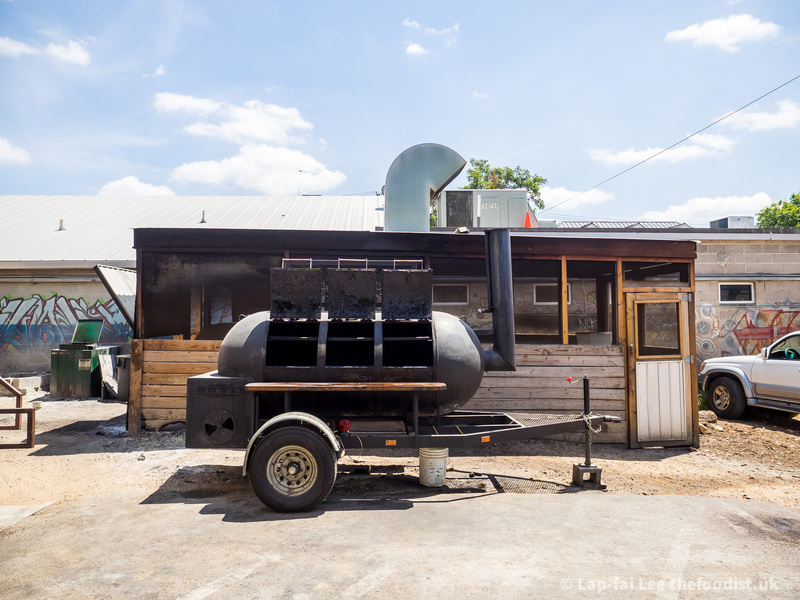 Central Texas BBQ – 36 hours in the smoke | The Foodist. Standing in line in the baking Texas sun, slowly turning into lizards, necks getting redder. The free beer gets absorbed and sweated out in seconds. But you’re not alone, the line is around the block. All for a taste of some of the best BBQ in Austin. If queue length is testament then the 4 hour waiting time for Franklin BBQ makes it the best in town. Thankfully Franklins was closed when I visited Austin and the 2 hour wait in line for La Barbecue seemed like a cinch in comparison. We had 2 days or 36 hours to eat and experience as much BBQ as possible and had no time to waste. 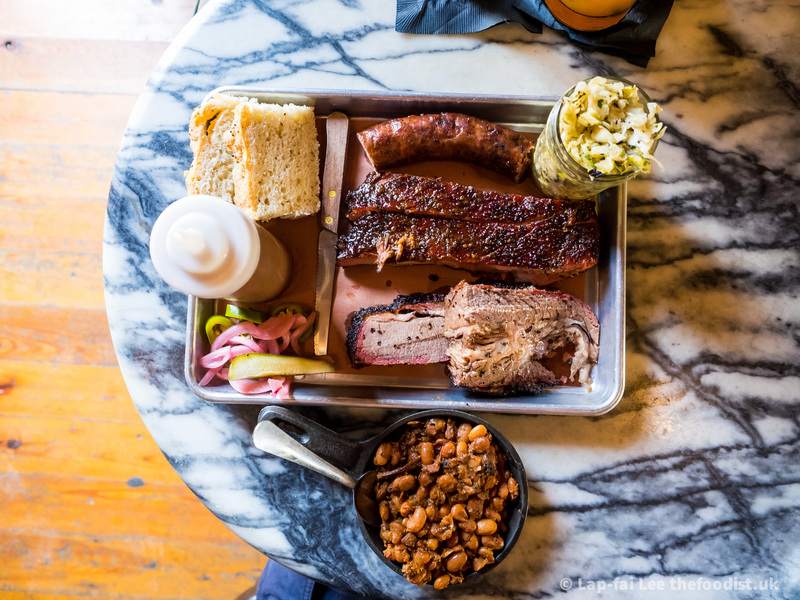 The BBQ scene in Austin is quite a recent thing, fuelled by the city’s thrusting youthful hipsters. To get the real taste of Central Texas BBQ, that low and slow magic they do with beef and oak smoke you need to get out of the city. To Taylor, Luling, Elgin and in particular Lockhart. A 45 minute drive from Austin, the wide open plains of Central Texas pressed under big blue skies really get you in the mood for breakfast BBQ. Smitty’s Market in Lockhart opens early at 7am. As it has done for over a century. If you follow the history of this site back you’ll see that this is where it all began. We get there before 9am, opening the battered wooden door into the most evocative soot stained corridor. The deep perfume of decades of oak smoke lacquers every surface. At the far end we can see the open pit fire flickering and a haze of pale blue smoke. We are the first here and only sausages available at this time of day. The server reaches into the massive pit fishes out one original and one jalapeño, and we sit down in the huge dining area alone except for a few staff preparing salads and slaws. I had in my mind what a Texas hot link would taste like, but to actually cut into the robust skin for the first time and see the hot beef fat pooling onto the rust-coloured butcher paper was joyous. The sweet smoke flavour mingling with coarse peppery beef was sausage heaven. If you know BBQ then you know the pleasures of a fresh hot smoked sausage, be it a hot gut or an andouille or even a morcilla, there are few foods better. The perfect BBQ breakfast, we scoff and promise to return later in the morning when the meats are ready. The Chisholm Trail is a lot smaller and newer than the other venerable places in Lockhart. It can’t be more than 40 years old, a smaller shack along the main road that runs through town. The wood panelling in various shades of brown and beige, the low morning sun dappling though the shutters evoke road-movie cliches. Maybe the dude in the corner sipping his sweet tea has been driving all night, has he started to regret shooting his buddy? The servers here are lovely, the small Mexican lady slicing the brisket is obviously proud of their product and is happy to talk about the wood they use and how long they smoke. The brisket is good, a little thinly sliced which shows that it may have been slightly undercooked. I like the texture, like cold roast beef but with a rounded smoke flavour. It doesn’t blow me away but the original sausage is again delicious. We sneak around the back and chat to one of the pit masters as he just finishes linking a fresh batch of sausage. It’s a smaller operation here, even so he smokes three lots a day. The piles of oak wood and worn looking equipment underlining the cottage industry feel of the place. Onto Blacks, it’s around 10am and only just opened. We’re third in the queue this time, behind an order of a pound of brisket. To see this portioned in front of your eyes, the brisket gushing juices as it yields up slices of soft beefy goodness, leaves you in no doubt that this the centre of Central Texas BBQ. Then it’s our turn, we ask for a little of everything,a slice of moist brisket, original sausage, jalapeño sausage, pork babyback rib, spare rib, burnt ends, pork chop and a mighty beef rib. The Mexican slicer is happy with our small order of everything, in Lockhart all the BBQ handlers are Mexican and seemingly happy at their jobs. The happiness spreads to us, the brisket is THE ONE, it’s the best brisket I’ve ever eaten. The only brisket on this trip that was clearly better than the competition brisket we cook in our BBQ team the Backyard Brummies. As we eat the dining room fills with contented folk, we are all feeling the same euphoric meat vibes. We exit Blacks and walk back to Smitty’s in the now baking sun. Lockhart is sleepy, there’s no one on the streets, the few cars there are seem to move in slow motion through the heat haze. So it’s a surprise to see a line at Smitty’s, a short line to give us enough time to decide to go light and just order some brisket, a slice of medium rare prime rib and a pork chop. The large high-ceiling dining room is now half full, we peek at the massive portions that others have ordered, the butcher paper piled high with so much meat and sides. There is a magic at Smitty’s, something in the fabric of the place, the buzz of happy folk eating happy food. The pork chop is spectacular and the prime rib excellent. The brisket is a bit tough but I don’t really care. The experience of sitting in Smitty’s soaking up the tradition is juicy enough. Driving back out of Lockhart to Kreuz Market we see the line for Blacks is now snaking out of the front door. This is what BBQ means to the people of Texas, you wait for BBQ, it doesn’t wait for you. Kreuz is massive, it moved from the Smitty’s site some decades ago to the outskirts of Lockhart. From first glance there are at least double the amount of pits at this newer site. Barrel loads of sausages are being tipped onto the racks ready for smoking. We order a good selection; brisket, clod, sausages, pit ham and pork ribs. Again the sausages are outstanding, so juicy, coarse and beefy. Cooked perfectly so the skins have the perfect snap. Pork ribs are pleasingly tender and porky, though both the brisket and clod are a tad tough and dry. It’s a stark comparison with that offered at Blacks. We leave Lockhart before midday and hit the road to Taylor to visit Louis Mueller. There appears to be nothing in Taylor except a wide open road and the original outpost of the Mueller BBQ dynasty. The drive had reawakened our appetite, stepping out of the car the noon sun was merciless. 100 degrees in the shade, it felt only a little cooler in the main room of Louis Mueller BBQ. Waiting in line for around 20 minutes we were thankful for the ice machine and free sweet-tea. Chatty locals insisted everythang was good here, so we ordered a little of everything! Including a frito pie, a bag of corn chips split open topped with chopped brisket and cheese. Trashy but good. The beef rib here is fantastic, the peppery bark covering the fall apart juicy meat. Most of the pork ribs we tried in Central Texas were very simply seasoned and it was the same here. Personally I prefer sweeter stickier pork ribs, so none of the Texan offerings did it for me. Good sausages but not to Lockhart standards. Five BBQ joints down we head back to Austin mid-afternoon. After a short break, we manage to squeeze in a small BBQ platter at Cafe Mueller in a massive HEB grocery store to make it six in one day. Even in a chain grocery store the BBQ was good. Imagine having a Grillstock in Tesco! It didn’t really compare to Blacks or Louis Mueller earlier in the day but if you’ve had better BBQ after shopping for razors then I’d like to know where. Between eating at Cafe Mueller and the first BBQ joint the next day we managed to try some awesome and not so awesome Mexican and Tex-Mex food. Soft fluffy tamales filled with mole poblano chicken redefined great Mexican food for me. But also reinforced how difficult it is in the UK to find this wonderful cuisine. There was only one decision to make for our first BBQ of day two. With Franklins and John Mueller closed, do we queue at La Barbecue or Mickelthwait Craft Meats? Because if we do one then we can’t do the other. These four are generally accepted to be the best in Austin. We rolled the dice and ended up waiting 2 hours in the La Barbecue line. But what a line! Free beer and entertainment while you wait. A great atmosphere in the dappled yard where the La Barbecue trailers reside. A much younger crowd than in Lockhart reflecting the exciting nature of the city’s food scene. But the real question; is the BBQ better? In short, no… and yes. We ordered everything. Brisket was ok, not as good as Blacks but better than the fast cook ones at Smitty’s and Kreuz. About the same as Louis Mueller, the beef rib too. Much easier and more forgiving than brisket to cook it was the star of the meal. The pulled pork and pork ribs were a lot better, sweeter but still lacking the complex sour stickiness that I like. The sausage were dreadful, mealy and dry, not a patch on the old-timers out of town. Smoked turkey was succulent and probably the best you could do with this meat. A scoop of potato salad, slaw, corn and bean salsa saved us from meat exhaustion. We drove round to Micklthwaite but predictably it was closed by 2pm and only a few diners were left finishing off their meats. Franklins is down the road and is such a iconic looking building we took a photo for the memories. With so much great food in Austin, I’m sure I’ll be back and these two will be top of the list. It seemed every taxi driver in Austin is a BBQ expert and to a man and a woman all like the old time BBQ. So they were impressed we’d made the pilgrimage to Lockhart, but also dismissive of the new kids like Franklins and La Barbecue. They all recommended Terry Blacks BBQ from the same Black’s BBQ dynasty in Lockhart. That’s how it goes in Texas, the knowledge, skills and tradition gets passed on linearly. The Schmidts of Lockhart and the Mueller’s of Taylor (who begat La Barbecue and Franklins). BBQ dynasties, there should be a TV show about them. Terry Blacks pits were already running at around 4pm for next days briskets. The guy manning them looked like he hadn’t slept but was happy to show us the pits. The smell and heat coming off them was immense. Deep and sweet oak smoke pervaded everything, rough, faded and seemingly rusting pits producing blackened beefy gold. Terry Blacks is old time Lockhart in the middle of Austin. The beef rib was just about perfect. The brisket only a small notch down from THE ONE at Blacks. Sausages were juicy and snappy. Austin’s taxi drivers know what they’re talking about. The last stop, number nine, a day and a half after we walked through the door at Smitty’s we find ourselves at Freedmen’s. A saloon bar with a long history, the pale stone exterior and dark wooden bar looks like it could have hosted a few Western shootouts. The sheriff of Texas BBQ Daniel Vaughn recommends it so we have to check it out. Even though it’s late in the day around 5pm, the Holy Trinity platter (brisket, pork ribs, sausage) is all good. Maybe the brisket a touch dry but finally pork ribs with a fantastic deep smokey flavour and sweetness. Terrific grilled cabbage slaw and baked beans rounds everything off. We chat to the pit guys out back who are trimming brisket for the next day and leave satisfied that we have at least scratched the surface of what this Central Texas BBQ thing is about. The taste of beef, smoke and black pepper lingers long on the palate but even longer in the memory. BBQ will never be the same again. If you love BBQ, if you love brisket then you’re only borrowing time until you get to Texas. You owe it to yourself. A really great, evocative review. I remember the sausage at Blacks was exceptional when we were there although the brisket wasn’t a patch on Franklin’s. I can still taste the burnt end they gave us as we arrived at the counter after the 4 hours in 100 degrees heat – accentuated by the wait I’m sure but the best bite of meat I’ve ever tasted. Unfortunately, Smitty’s was shut when we were in Lockhart although we did get to Salt Lick in Driftwood where the brontosaurus-like beef ribs were incredible. Really want to go to Louis Mueller’s next time I visit (next summer, fingers crossed) but will also take the other Austin recommendations on board. Thanks Neil. I remember your trip on twitter. Salt Lick was on our hit list but everyone, actually everyone, said it was a BBQ Disneyland so we took the swerve to Louis Mueller instead! I really want to try the old time places in Elgin and Luling next, if nothing else but for the sausages. When you go back you have to try the Mexican food at Licha’s Cantina, this was as memorable as the BBQ for me. The mole poblano duck enchiladas are out of this world. Pingback: Hotlinks | The Foodist.